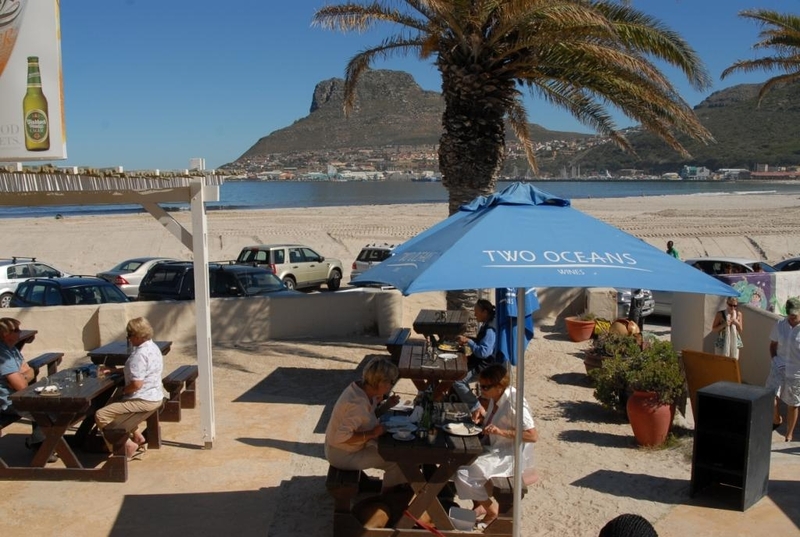 Right on Hout Bay beach, Dunes restaurant has awesome views of Chapman's Peak, the Sentinel, the bay and, of course, the beach. The setting lends itself for every occasion and it’s a stunning spot for sundowners. During the day it is very popular with parents and their pipsqueaks who have immense fun in the giant sandy playground with various swings and jungle gyms. The kids’ menu is also a hit. My UK friends had a large gathering here and it was a fabulous choice for parents with young kids. The food was good and the service pleasant, but more importantly, the beach vibe and sandy playground kept the kids happy for hours. Dunes is on the beach in Hout Bay. The beers are cold and the food decent. Life is good here. DUNES Restaurant and Bistro is 14.8km from the centre of Cape Town , the nearest airport 28km (Cape Town International Airport).